It’s New Year’s Resolution season, and chances are you’ve got a few goals in mind. 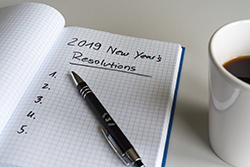 “Lose weight” and “get in shape” get the most airtime, but this is also a great time to set resolutions related to your career. In this blog post, Monster contributor Daniel Bortz shares 10 career resolutions that you can absolutely keep.